November 11, 2017 Kathe Skinner, M.A., L.M.F.T. Usually drunk, or trying hard to be, Saturday nights we’d pile into somebody’s car and drive over to the MATS terminal on the military base where many of my friends and I lived. The flight line wasn’t our reason for driving there; as I recall the snack bar had really good fries. It was 1966, in Hawaii, and the Military Air Transport terminal on Hickam Air Force Base was a stop on the hop from California for soldiers going to Vietnam. Like us, most of them were teenagers. Most of my friends were kids of military families like mine. Ever since Pearl Harbor the military presence on Oahu’s been pretty beefy so being a military kid – Air Force, Army, Marines, and especially Navy – wasn’t unusual. My life was about protocol and acting appropriately; I remember having to answer the phone “Sergeant Palermo’s quarters”. Adolescence is a time for challenging authority; it’s part of what young people have to do in order to find out, and be, who they are. While I tried to be part of my peer group, which group had my loyalty was unclear. Was I a hawk like my military-industrial-complex’s warmongering father? or was I a flower child, a peacenik, a dove like the rest of my generation? For a military brat like me, being sixteen in the sixties was complicated. My answer was to dress like a hippie and keep my military heritage to myself. 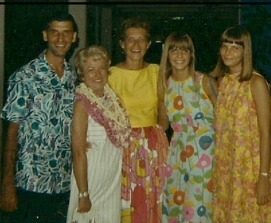 Even so, those years in Hawaii were mostly spent among other kids who were themselves veterans of military life. Even when I began college at the University of Hawaii, there were no demonstrations that I remember maybe because the bulk of the island’s inhabitants were part of very traditional Oriental cultures. For lots of reasons, I wouldn’t have joined a protest rally anyway. I had pen pals in Southeast Asia, guys I didn’t know but who were like all the guys I did. Some classmates joined up out of high school, some got drafted, and some were friends out of the University’s ROTC program. I still keep the letters from one of them. It was later, back on the mainland, that I felt out of place and isolated – a military brat at a small New England college the year Jimi Hendrix (formerly in the Air Force himself) electrified the national anthem at Woodstock. Being a childhood veteran is a singular experience; one that’s both good and bad. I went where my father went and, with hardly any choice, he went where he was told to go. So me and my family, veterans all, piled into the family Ford or onto a transport plane, and set off across country – again. They also serve who sit in the back seat. I never thought to complain that the only consistency in my life was change: leaving friends and having to make new ones; the anxiety of changing schools to one whose different curriculum inevitably guaranteed my failure; trading lush landscapes for harsh winters. And always, always aware and reminded that my actions could literally affect my father’s career. Lots of my behaviors result from those years; how can they not? While I’m flexible enough to move about without trauma (I think) I don’t have a hometown. Quick at making friends, I don’t hang onto them. Love is usually lost, marriage notwithstanding. A poised pretender, I’m self-critical and self-conscious. Honest and honorable, I’m surprised and stung when those around me aren’t. Today’s military families are no less veterans than we were. Like it or not, and many don’t, military affiliation sets you apart. There’s nothing quite like the sense of ease I’ve felt around military people; nothing like the belonging I feel around things military. No time I’ve felt more at home than with others who know what it felt like to be a veteran of growing up military. Maybe that’s why I love a man who’s a military brat, too. Whose father and mine were stationed in the same place two different times in our young lives. Whose mother and mine were bowling buddies across our country. A family reencountered years later on one of those re-assignment journeys in our family’s Ford. Thomas John Palermo, Kathe’s father, was a veteran of the Army Air Corps who served in China during World War II and for almost 30 years in the United States Air Force, retiring as a Chief Master Sergeant. He played a significant military role during the Cuban Missile Crisis, about which he never spoke. Her mother, Elizabeth Korobeckhine Palermo, was herself a veteran of World War II. 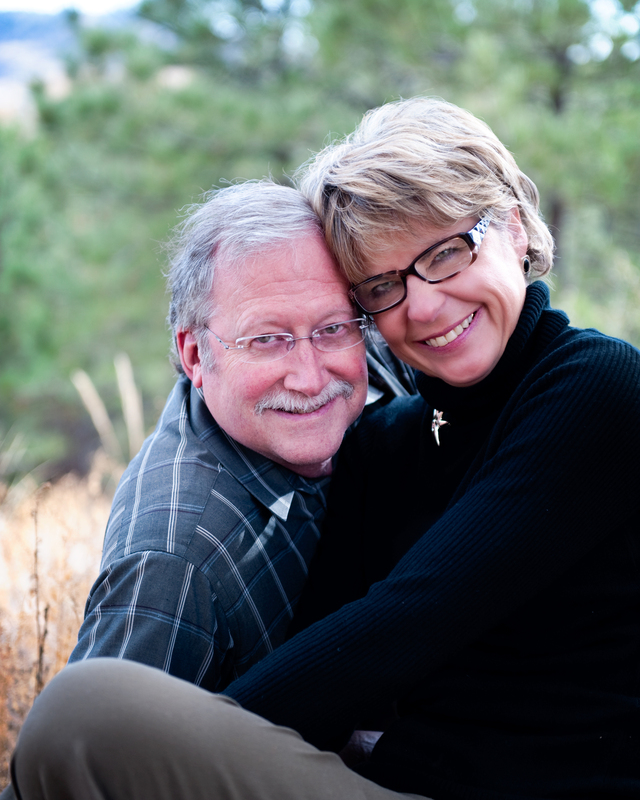 Wo rking as a Marriage & Family Therapist in Colorado Springs, a high-profile military town, his daughter, Kathe (Palermo) Skinner, often works with veterans of Vietnam, Iraq, and Afghanistan and their families as well as with those who currently serve. She is married to David Skinner, son of George and Kay Skinner, military friends of her parents for almost 50 years. Reblogged this on Couples Who Talk.